Some answers to frequent questions. We have compiled a list of questions and answers. If you cannot find an answer to your question, use the form at the bottom of the page to submit a question and we will get back to you. 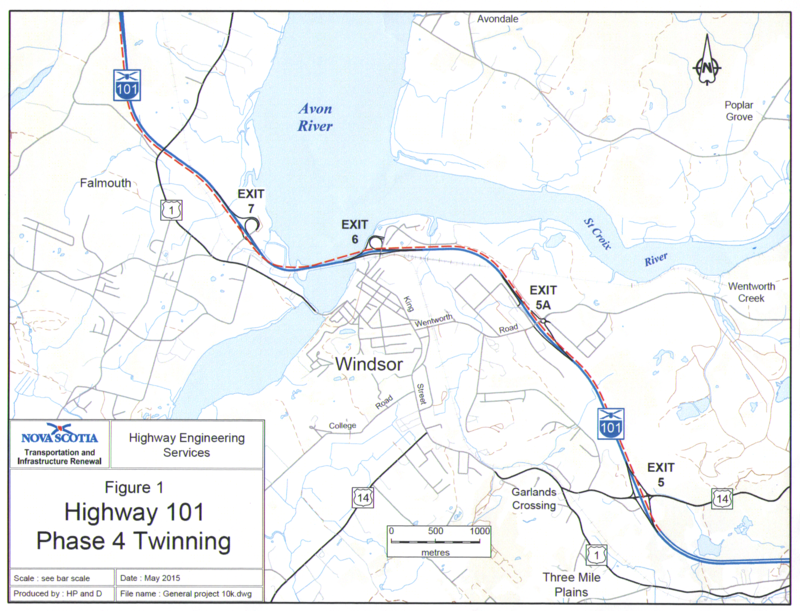 What is the Highway 101 Twinning – Three Mile Plains to Windsor and Falmouth Project? The Project is the final phase of work that began approximately two decades ago to twin Highway 101 from Halifax to Exit 10 – Hortonville. The Project also includes the replacement of the aboiteau that was originally constructed in 1968-70 to better protect agricultural dykeland along the Avon River, protect the Town of Windsor and nearby communities from tidal flooding, and provide a route for the new Highway 101 and the Dominion Atlantic Railway. Why does the highway need to be twinned? Traffic volumes are currently in the vicinity of 15,000 vehicles per day in this area, therefore it is important to complete this section of twinned highway to ensure safe and efficient operations. 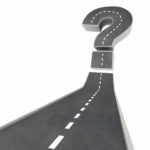 Where will the new twinned highway be located? This project will connect the existing twinning near Exit 5 at Three Mile Plains to the existing twinning west of Exit 7 near Falmouth. The intended design is to construct new lanes next to the existing highway, separated by a median and a cable barrier. There will be some upgrading of curves and ramps to improve safety on the highway. Is additional land required for the highway? The current design and alignment is expected to be built mostly within lands currently owned by NSTIR. There will be some small parcels of land required in specific locations. Why isn’t a bridge being built to span the Avon River as previously proposed? With the existing aboiteau nearing the end of its lifespan and requiring replacement in the near future, a joint project to meet the needs of Nova Scotia Transportation and Infrastructure Renewal (NSTIR) and Nova Scotia Agriculture (NSA) has been proposed to maximize benefits for cost. Constructing separate bridge and aboiteau structures would double the amount of infrastructure required to replace the function of the joint project. Coordinating the project up-front will prevent future conflicts between the separate structures. More information on the choice of the causeway and aboiteau option can be found here. Will the current access to Windsor/Falmouth be maintained? All highway exits and interchanges are expected to be retained as part of the project. Construction is expected to start in 2018 (for example, clearing). When will the twinned highway be open? Construction is expected to begin in 2018 and will take about 5-6 years to complete. The 101 is expected to remain open throughout construction with minor detours within construction zones for structure replacement and road reconstruction. Major detours onto secondary roads are not expected to be necessary. Will there be a toll for the use of this highway? After consulting with the public on funding (https://novascotia.ca/twinning/), the Province did not hear overwhelming support from Nova Scotians about paying a toll for twinned highways. There will not be a toll for the use of this highway. How many lanes will there be? The current design has four main travel lanes, two in each direction, once the Highway 101 Twinning Project is completed. From Exit 5 to Exit 7 the on- and off-ramps will be connected, creating an extra lane between exits in each direction. That means there will be 3 lanes on each side of the twinned highway. The current design maintains and expands the existing causeway. The design received approval by NS Environment (NSE) on June 27, 2017. The causeway forms part of the dyke system that protects Windsor and surrounding areas from flooding. It is expected that this project will raise the causeway to prevent flooding from anticipated climate changes to sea-level rise, precipitation and storm surge. What is an aboiteau? What does it do? An aboiteau, or sluice gate, is a one-way flow structure. It allows freshwater to drain during low tides and prevents tidewater from flowing upriver. This prevents flooding of the lands upstream of the aboiteau during high tides. Why is the aboiteau being replaced as part of this project? The Avon River Aboiteau and Windsor Causeway replaced 26 km of dyke and 36 individual aboiteaux when they were constructed in 1968-70. Since that time much of the older dykes and aboiteaux infrastructure have been removed or naturally degraded. The current Avon River Aboiteau and Windsor Causeway system protects approximately 1,400 hectares (3,400 acres) of agricultural land, and provides flood protection to the Town of Windsor and nearby communities in the Municipality of West Hants. The aboiteau is near the end of its lifespan and requires upgrading to continue to protect lands upstream. The aboiteau is currently included in the preliminary design, but that decision is subject to an environmental assessment and approval by NSE. Lake Pisiquid depends on the aboiteau and causeway being in place and therefore is expected to remain. What is the purpose of the Highway 101 Twinning Project Community Liaison Committee? The CLC will be a communications link for the community through its members, who will each represent different stakeholders in the region. CLC members will connect with people and groups throughout the community to gather feedback and advice on the project, and this input will be provided to NSTIR and NSA. Will there be a public meeting? An Open House style public meeting to gather input from interested parties was held on May 26, 2017, after registration of the project for Environmental Assessment. It has been our experience that this type of meeting provides the best form of input from the community. Send us a request for information and we will try to be back to you within 2 business days. Subscribe to our newsletter for the latest news about the Highway 101 Twinning - Three Mile Plains to Falmouth Project.